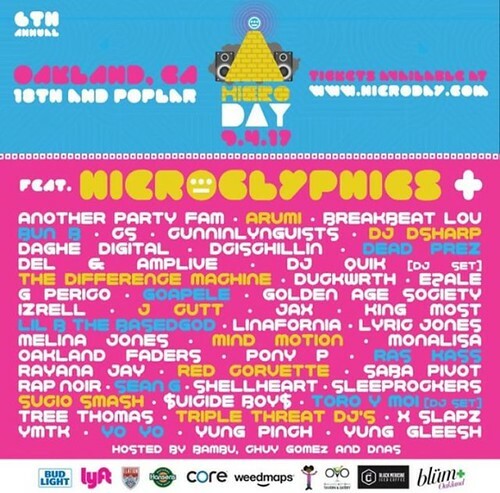 HIERO DAY, voted “Best Hip-Hop Festival of the East Bay”, is a one-day music festival combining community, local food, music, apparel, live art, crafts and hip-hop culture. 2018 marks 7 years of the independent festivalbringing thousands out to celebrate all that is good about the beautiful City of Oakland. 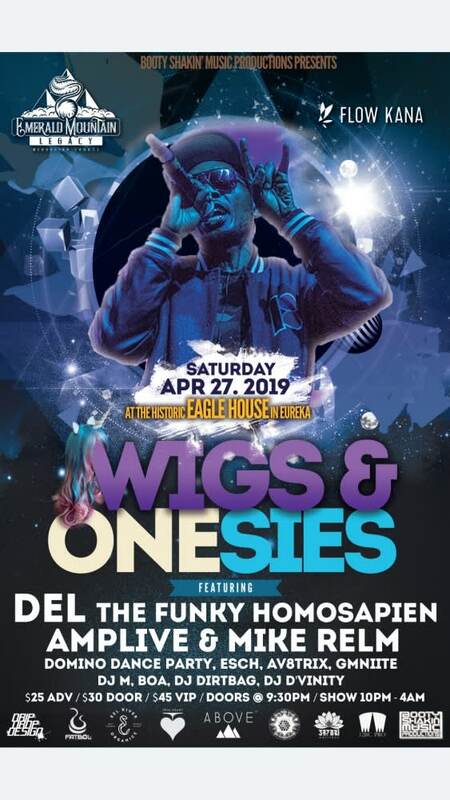 HIERO DAY hosts 3 stages showcasing over 40 local and internationally renowned artists from Hip-Hop, Jazz, Electronic, Alternative and R&B genres…for the cost of $19.93! We are excited this year’s event lands on the Oakland proclaimed holiday “HIERO DAY”, September 3rd (9.3 = 93 til) – and will return to the 3rd Street location where the proclamation was received by former Mayor Jean Quan. HIERO DAY plays an integral role in the Oakland music festival culture which exists in the city today. 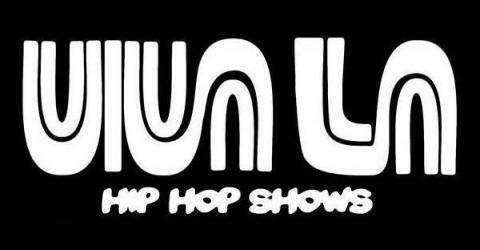 It is recognized for fostering a unifying atmospherewhile maintaining a commitment to groundbreaking music and community development. This community festival is an all age event. Children 7 and under are free. 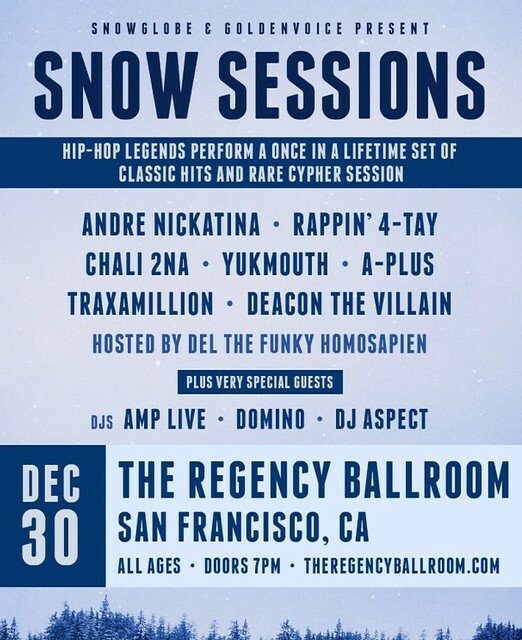 Snowglobe and The Catalyst Present SNOW SESSIONS with DEL THE FUNKY HOMOSAPIEN, ANDRE NICKATINA, CHALI 2NA and many more! #Repost @106kmel with @get_repost ・・・ Don't miss #YG, #Miguel, #KidInk, #LilBaby, #CityGirls, #DerekKing, #PardisonFontaine & #MeganTheeStallion at #KMELSummerJam at @oraclearena on 7/28! ⁣ ⁣ Pre-sale Thursday 4/25, 10a-10p⁣ General on sale Friday 4/26 at 10a!⁣ Details at the link in bio. #Repost @concordpavilion with @get_repost ・・・ Just announced: Brandy, Monica, Mya, Amerie, Keri Hilson and Lil Mo are coming to Concord Pavilion on Saturday, July 20th for the Femme It Forward Tour and tickets are on sale next Friday, April 26th at 10am!